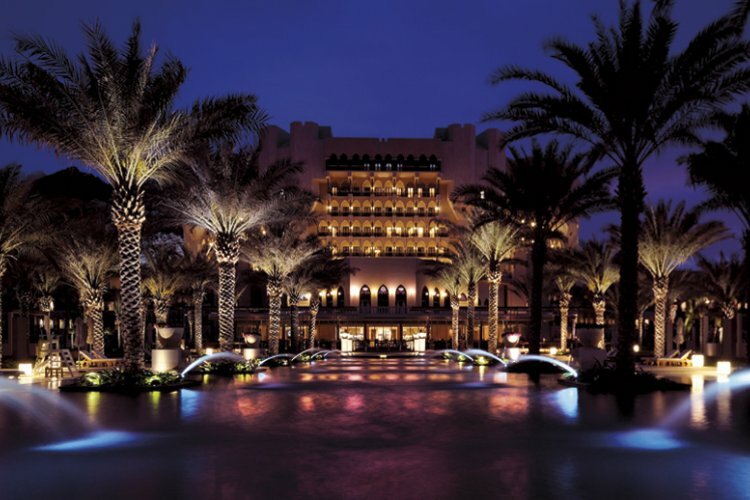 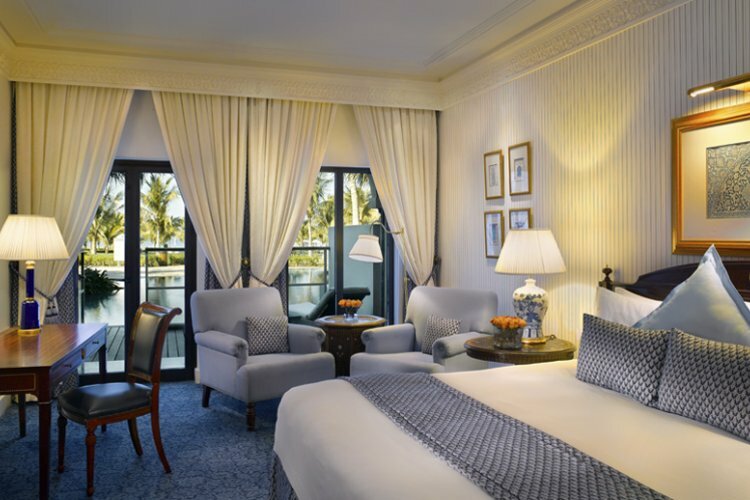 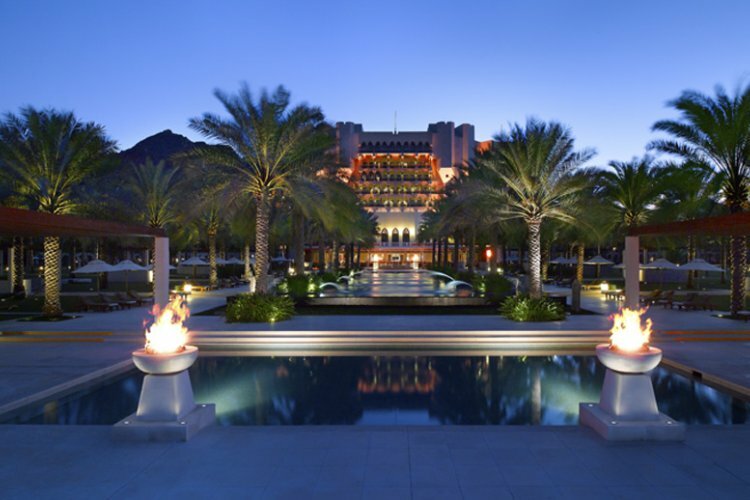 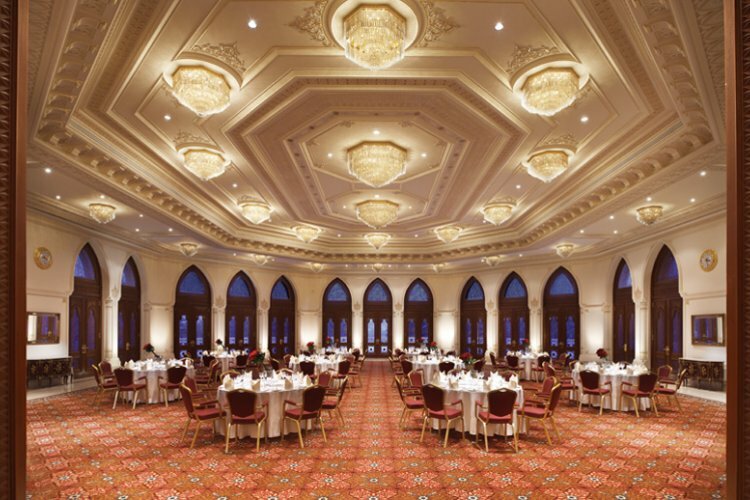 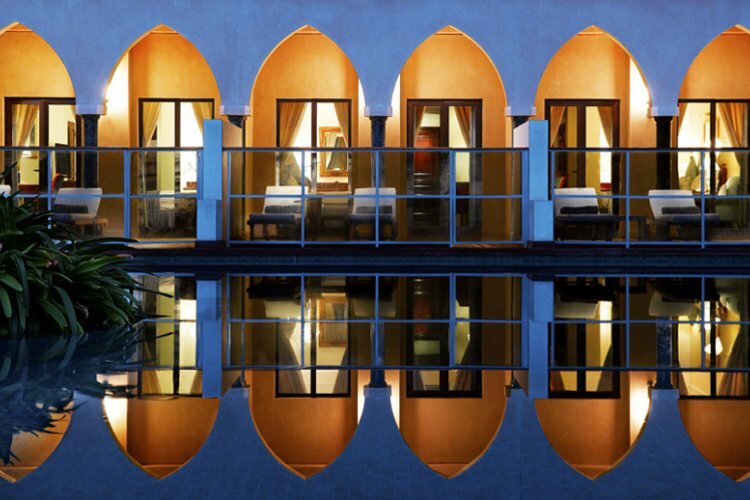 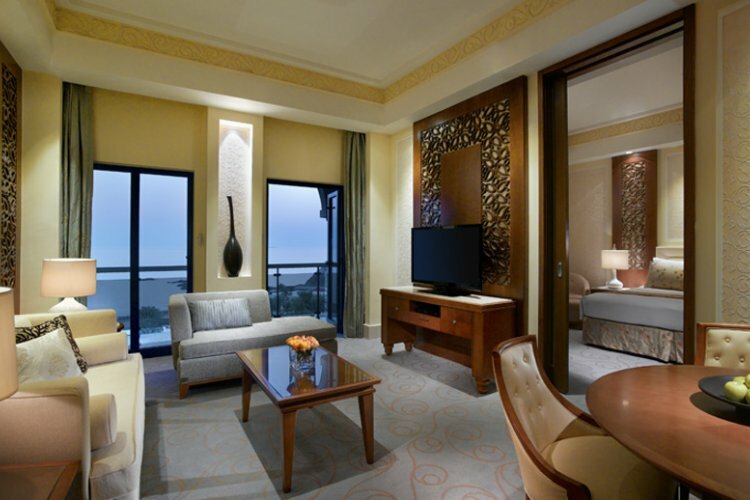 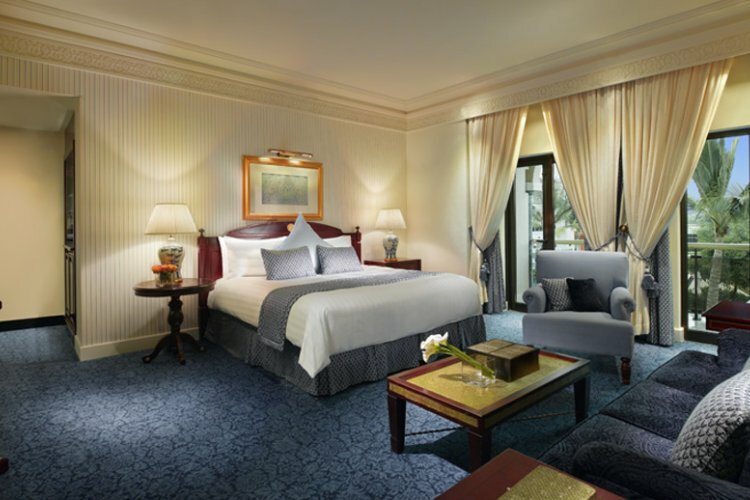 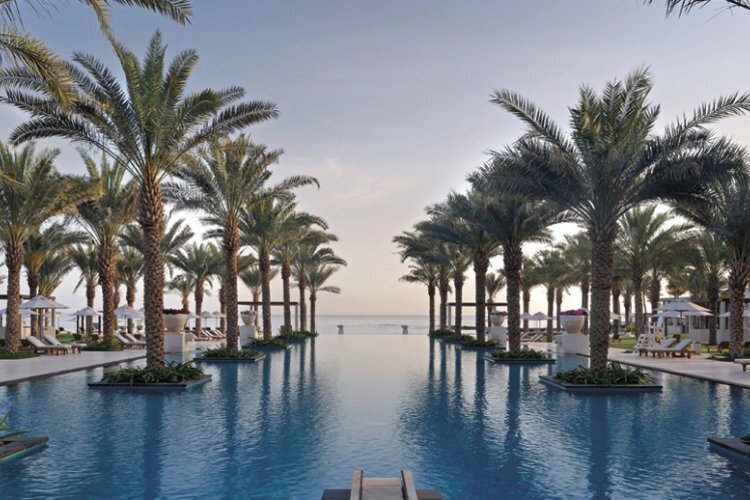 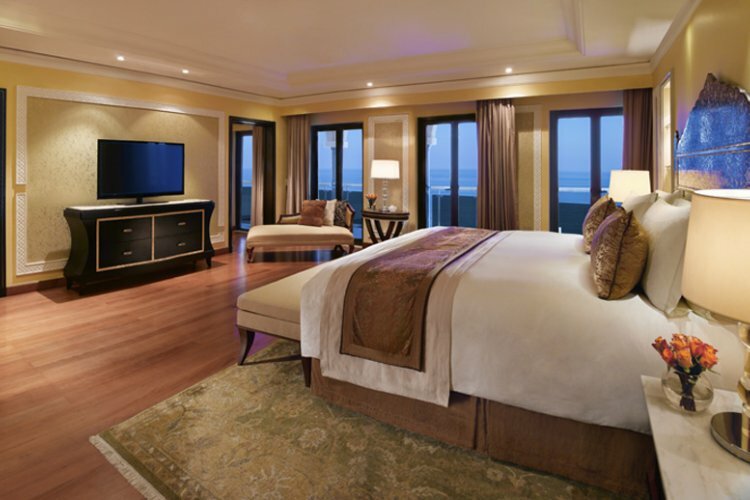 Located next to the white sandy beaches of the bay, Al Bustan Palace Intercontinental Muscat is a lab of luxury with marble floors and mosaic walls. 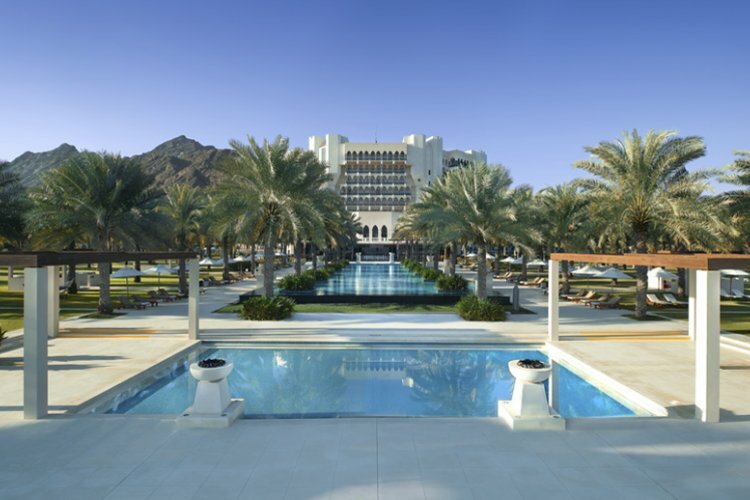 The exotic location, excellent facilities anf grand decor the Al Bustan Palace is the perfect relaxing setting to enjoy the authentic Arabian surroundings. 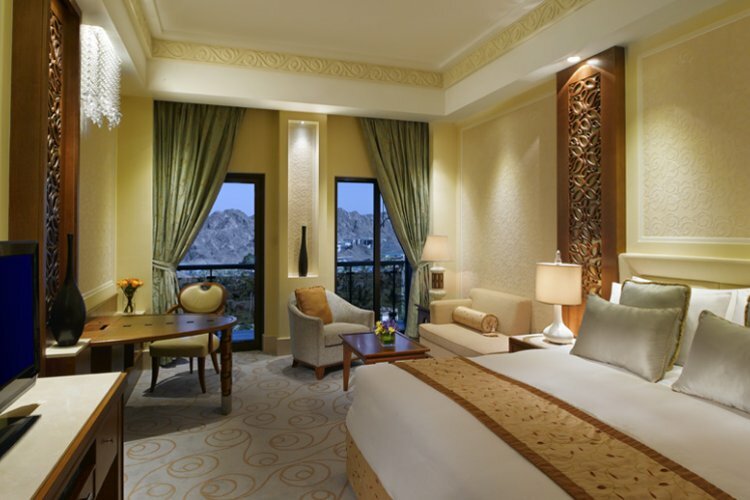 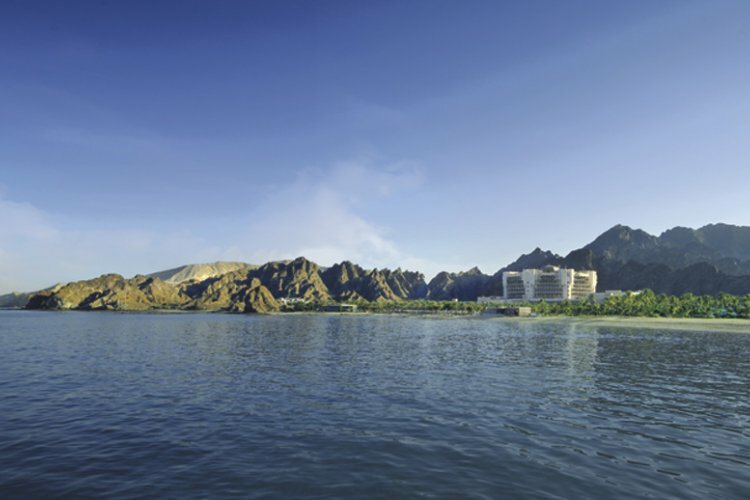 With 250 luxurious rooms and suites each with traditional furnishings and private balconies overlooking the clear waters of the Gulf of Oman. 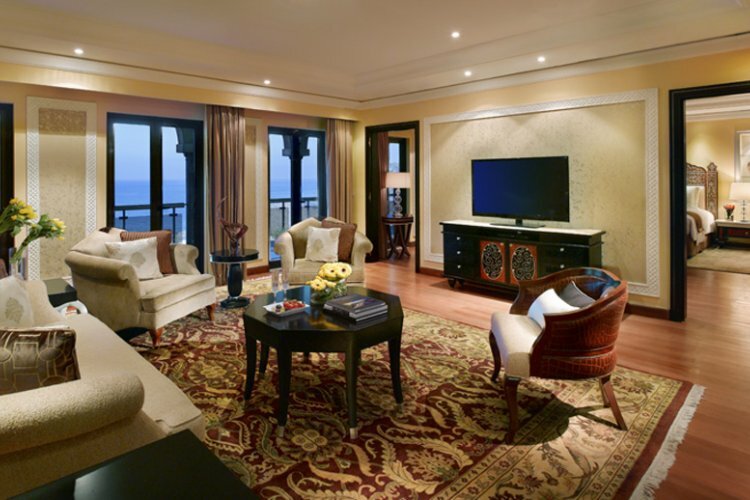 All come with modern amenities. 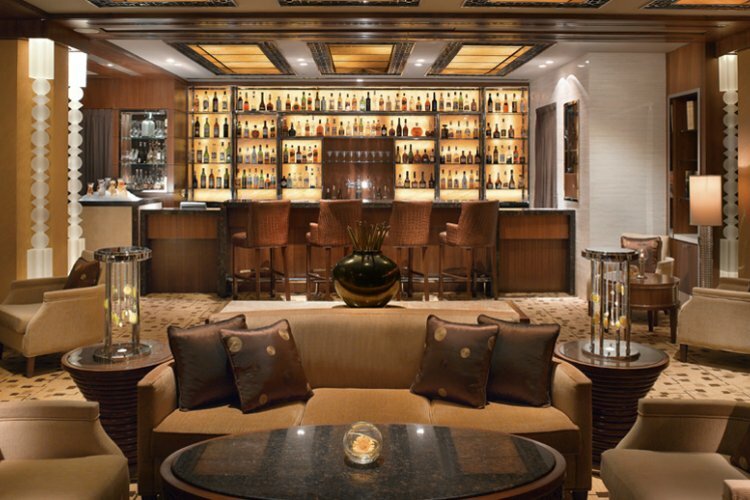 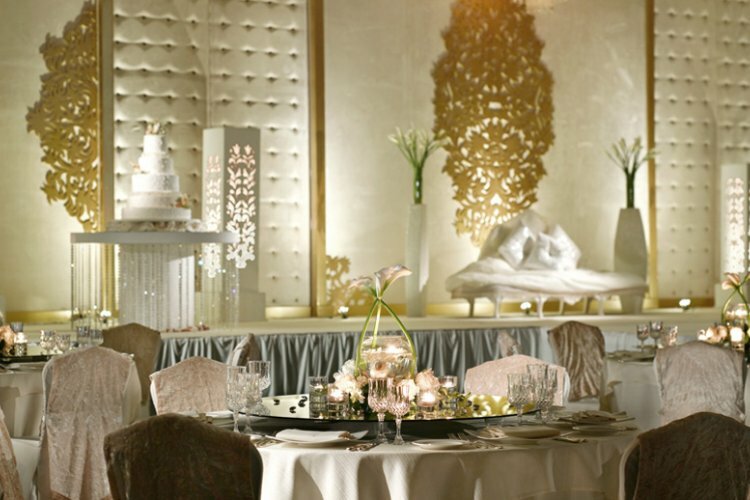 Guests can enjoy international cuisine at the in house restaurant that will satisfy the most discerning palate. 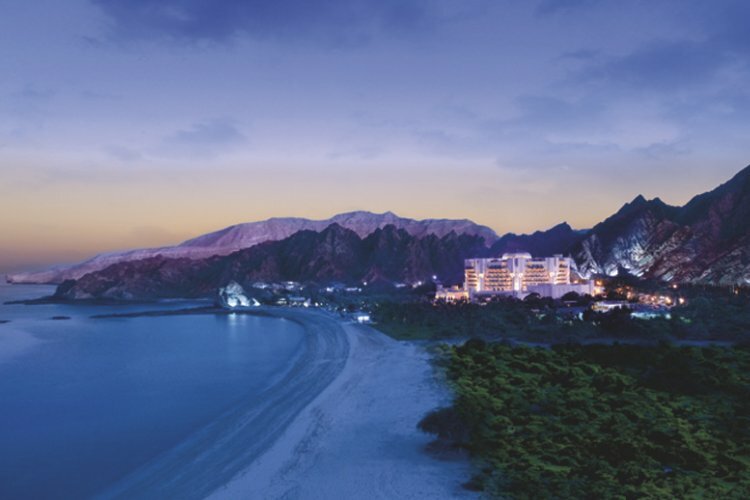 Its location on the beach means that a wide range of water sports including sailing, windsurfing and snorkelling. 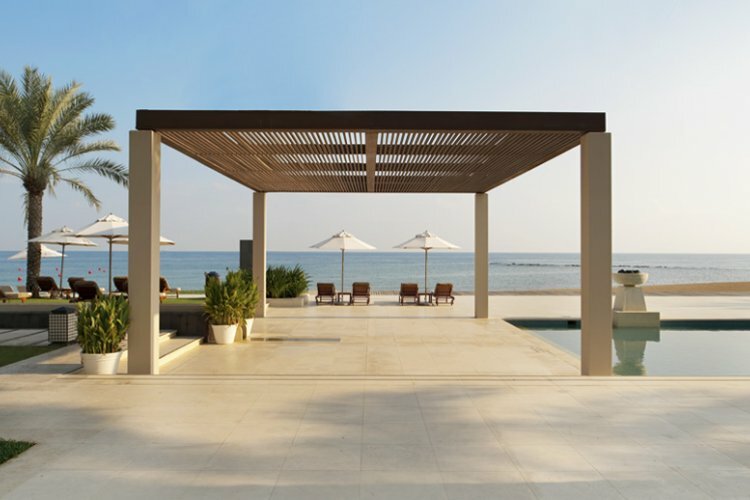 Recreational facilites include a swimming pool, tennis court, sauna and gymnasium. 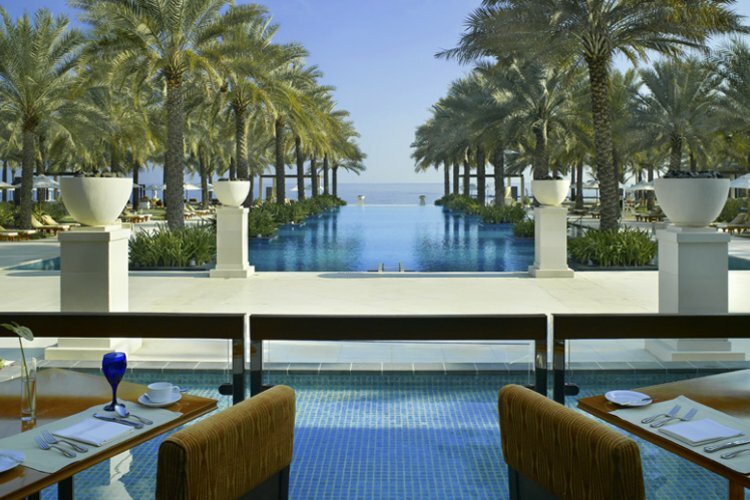 We went in a fairly quiet period (which we loved) but this meant a few of the restaurants were closed as was the spa however the peace and quiet etc more than made up for it.